Meet the Winner of the Adept 20K Website Giveaway! The Adept Website Giveaway has been such an amazing experience for us. As expected, we were highly impressed by the quality of small businesses in our backyard. In total, we received entries from 100 small businesses throughout Central Ohio. Our expert panel – consisting of Jeni Britton Bauer, Pamela Springer and Michael Darby – came together at our office to review the submissions. They debated, asked questions, researched, and debated some more until they walked out of the room with five Runner’s Up and one Grand Prize Winner. 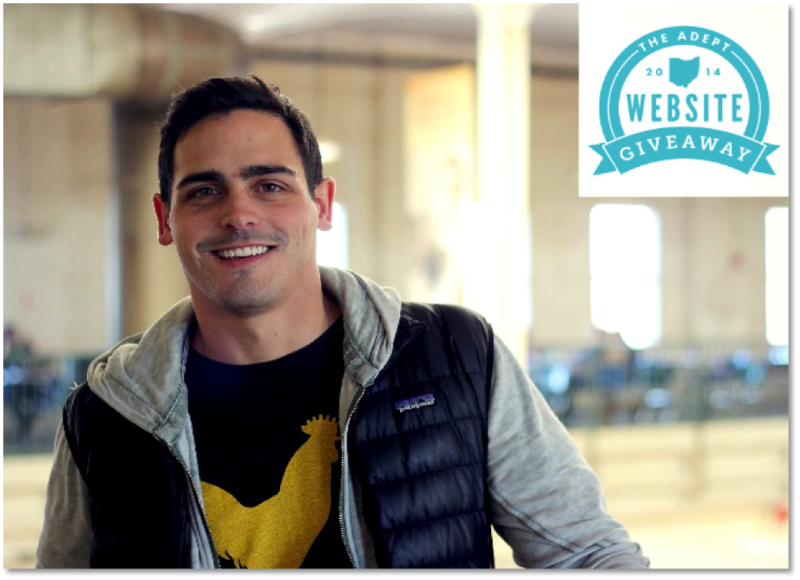 The wait is finally over - the Adept 20K Website Giveaway Winner is Hot Chicken Takeover! Steeped in a Nashville tradition, Hot Chicken Takeover provides juicy, perfectly fried chicken that's rubbed with a secret cayenne-infused paste. The pop-up restaurant is quickly taking over Columbus with its one of a kind fast-casual dining experience. Earlier this week, we sat down the founder of Hot Chicken Takeover, Joe DeLoss to get the fascinating story behind the business. A: Let’s start at the beginning. What was the motivation behind starting your own business? JOE: In school, I was always interested in shared mission profit margin space called social entrepreneurship. But when I graduated, the reality was the nonprofit job options I had wouldn’t pay for my liberal arts education. So I found a local company and became an investment analyst. I made it for about two years and realized that I wasn’t motivated enough by money to maintain that lifestyle or career. I took a job at a local nonprofit leading their initiative of getting people employed through businesses that create entry-level jobs. Even in that role, I realized that I just wasn’t built to be a corporate citizen. I wanted to launch out and do something on my own – and, in addition, something that wouldn’t have to separate community impact and making money. A: So you decided to open a pop up restaurant. 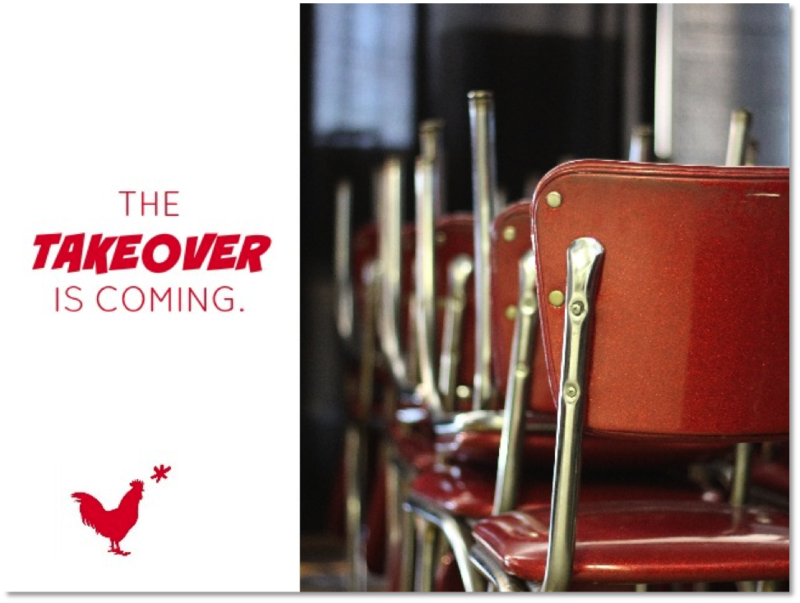 Can you share about how Hot Chicken Takeover started? JOE: The idea for Hot Chicken Takeover happened when my wife and I were visiting Nashville. I wanted to bring the traditional southern cuisine and family dining experience back to the Midwest while making an impact in the community. Soon, I was testing out chicken recipes in my home. We’d have about twenty friends over, I’d cook for them and we’d just through different iterations of recipes. I like preparing food, but I’m not a chef – I’m just really good at being operational and systems oriented. That means I can read a lot of different recipes and am creative enough that I can hack something together. I paid friends in good bourbon to help me evolve the recipes that make up Hot Chicken Takeover. So we started there and probably changed the product a dozen times or more before we ever sold it publicly. A: Did you expect Hot Chicken Takeover to take off so quickly? JOE: Yeah. I don’t know how that happened. (chuckles) To date, we’ve only spent $35 on marketing. There were clearly some elements that we got lucky in and some others that we were creative and intentional about. In all honesty, Hot Chicken Takeover is the result of a perfect storm that occurred between a trip to Nashville, a vacant kitchen and pick-up window and a clever launch strategy and brand. I think the smartest thing we did was building interest in this idea with these in-home cooking sessions before we ever sold a product. But even when we started, we didn’t just open. We did a series of pre-sale ticketed events off the heels of press we received on ColumbusUnderground, Columbus Alive and a handful of others. We completely sold out events in under 24 hours. That meant that when we opened our doors publicly, we already had momentum. I think that’s a part of why we’ve been successful - and why we are able to expand to a new location downtown in the North Market. It’s really been a phenomenal year for us. A: I’m glad you brought up the shared experience element. 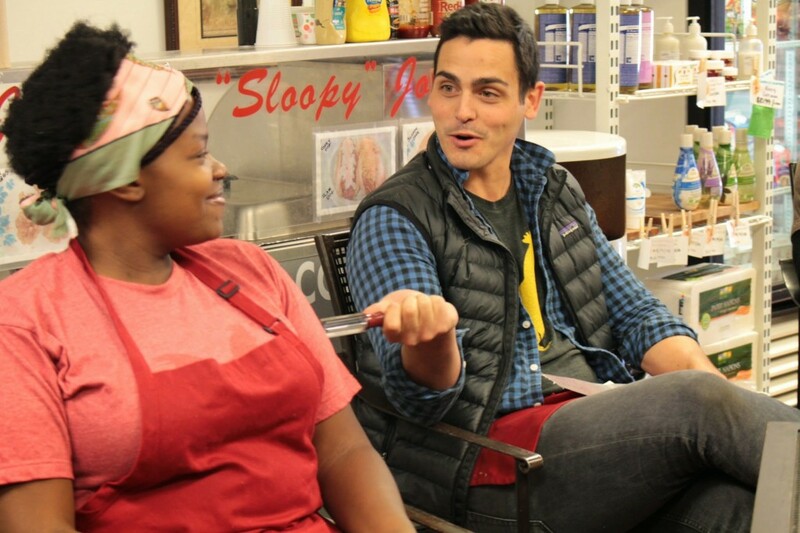 Hot Chicken Takeover talks a lot about fellowship – it’s even on your kickstarter campaign. How do you build that environment? JOE: I’m very intentional about the environment we cultivate at Hot Chicken Takeover. Our whole brand is formed around the idea of people and food. That means the food has to be great – really great – but the experience is what will ultimately make us successful. We have communal tables that encourage people to sit together over a meal and have a good time. And the fun thing is that the community feel extends beyond our customers, it even embraces the workers in our kitchen. A: Let’s talk about your staff. You are on a mission to hire men and women re-entering the workforce. Can you tell us more about what that means? JOE: A fast-casual restaurant, we can provide entry-level jobs to offer men and women coming out of corrections systems or a poor work history. When you are an employer hiring a low-income workforce, you realize that poverty affects attendance, performance and turnover. We are really just identifying the needs of our workforce and providing support that allows them to be more stable in their personal and professional lives. For us, we choose to live with these struggles alongside our employees while finding creative ways to help him or her manage practical needs like childcare and transportation. We do it in a few different ways – through promotions and pay increases to greater responsibility and ownership within our decision-making processes. It’s not really about social work. It’s about learning how to effectively lead and manage people. In no way are we doing it perfectly, but we are confident that we are heading down the right path. A: One year in, what’s the one thing that you are most proud of with Hot Chicken Takeover? JOE: We started this idea on November 15th, 2013 while sitting at a restaurant in Nashville. My wife and I had a baby in January and the business properly launched in April. I’m just proud that my family survived! Really, what we’ve accomplished between April through today is unbelievable to me. We’ve handled everything from media to rapid growth within our staff. And now we are at the point of pushing beyond our organic growth to really invest in the future of our brand and model. I try to steal a few moments as frequently as possible to just pause and be thankful for this journey. 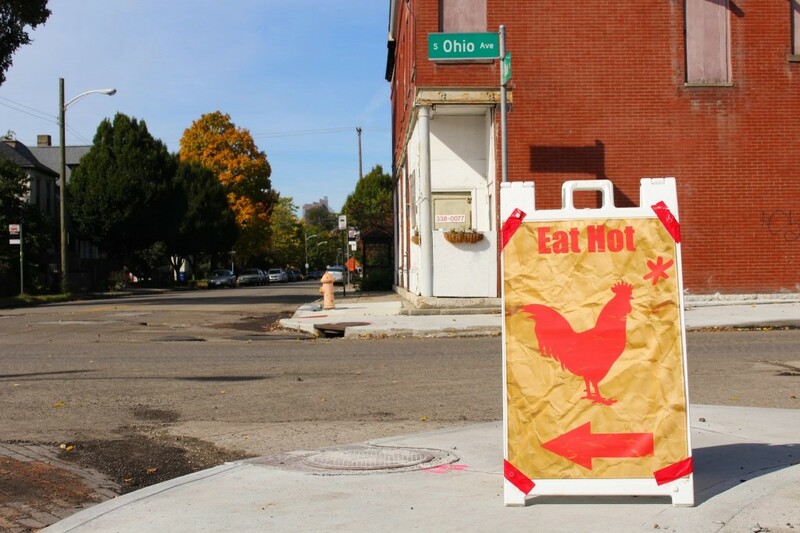 A: What’s on the horizon for Hot Chicken Takeover? What’s the vision for the next few months and the years? JOE: Between the new Market operation and other opportunities, we are expecting to double our business by early Spring 2015. Within five years, we hope to build a franchise model for a profitable fast-casual restaurant and community impact model. Long term, we intend to build a regional chain of Hot Chicken Takeover’s – hopefully having each provide supportive employment for 30-40 employees. A: What advice would you offer your fellow small business leaders in Central Ohio? JOE: I think it’s simply this: surround yourself with mentors. We’ve been really fortunate to have significant mentors pop out of the woodwork to give us some really solid advice. I heavily encourage that with any business owner – find people who’ve been in it and through it and listen to them. And learn how to manage your cash flow effectively. I guess that’s the investor in me, still. A: How excited are you to have won a new website from Adept? JOE: We're really grateful for the opportunity to work with Adept. Having sophisticated, proven guidance for our web strategy this early on will be a tremendous asset for our growing company and team. And to top it off, being selected amongst so many great companies and judges is really humbling. We originally created the Small Business Website Giveaway as a way to celebrate and assist small businesses throughout Central Ohio. This is why we are announcing our winner today, on Small Business Saturday! Stay tuned throughout December as we will feature the small business stories of each runner up. 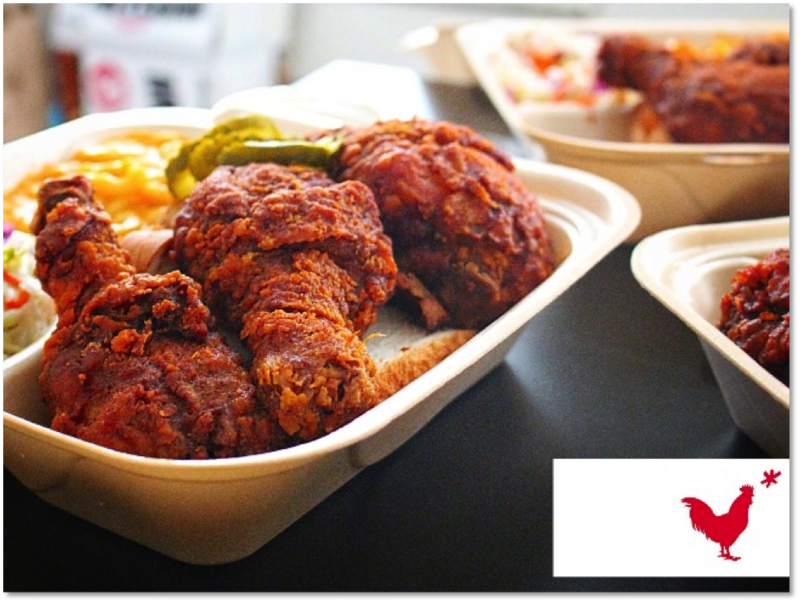 And be sure to visit the new Hot Chicken Takeover at their winter location in the North Market beginning in January! Congrats again to Joe DeLoss and Hot Chicken Takeover! Now, time to get to work.